Abu Dhabi: A Palestinian ice cream maker blocked from selling its ice cream in Israel is planning to expand into the Middle East. Al-Arz, a fourth generation family-owned business in the West Bank, cannot sell in Israel even though its major competitors are Unilever and Nestle products made in Israel and sold in Palestine. “We have been trying to enter the market of occupied Palestine for years. Unfortunately, the political situation prevents us from entering that market,” Ramzi Anabtawi, Assistant Manager, told Gulf News. 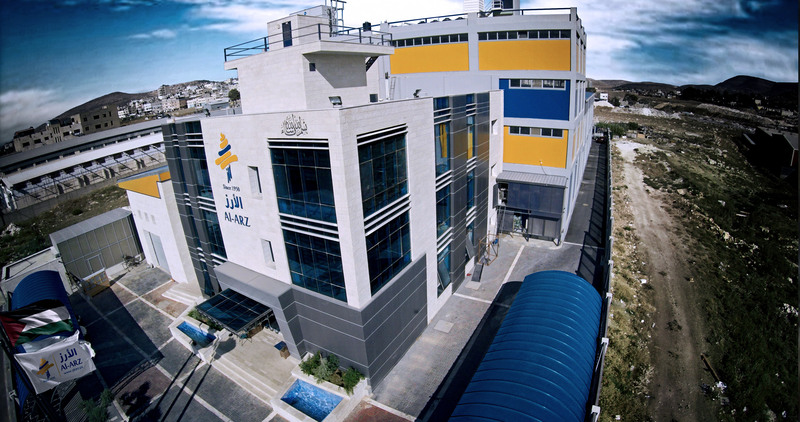 But after moving this year to a new facility in Nablus that has quadrupled its capacity to 8 million litres of production a month, it wants its ice cream to be sold across the Middle East. “We need to find distributors in the Mena [Middle East and North Africa] region so we can utilise the new capacity,” Anabtawi said. 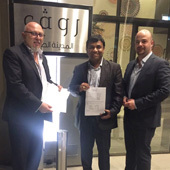 Anabtawi was in Abu Dhabi this week exhibiting at a food and beverage trade show looking for “new opportunities [and] a reliable distributor” for the company his great grandfather founded. Al-Arz is already exporting to Jordan and Kuwait, has sporadically sold in Iraq, and commands around 40 per cent of the Palestinian ice cream market. And the Palestinian market is growing, even though Al-Arz cannot sell in Gaza because of the Israeli blockade. The recent surge in violence between the Palestinians and Israelis is increasing sentiment in the West Bank to boycott Israeli made goods, according to Anabtawi. “Palestinian consumers don’t want to buy any Israeli products any more … now they’re going to the local products and we’re one of the local companies,” Anabtawi said. 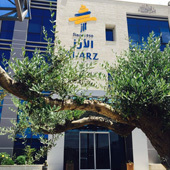 Anabtawi believes Al-Arz can grow its market share in Palestine to “not less than 50 per cent” in the short-term. Al-Arz use to rely on Israeli ingredients to make its ice cream but now imports everything it needs outside. Machinery comes from Denmark, “milk from Poland” and “chocolate from Belgium,” Anabtawi said. And to counter a drop in demand “between October and February when people [in Palestine] no longer eat ice cream,” Al-Arz is planning to start making wafer biscuits and marshmallows. But finding a regional distributor will help it guarantee year round production of a company that supports 200 Palestinian jobs, although exporting can be tough. Palestinian companies say to export to Europe, they have to send their products through Israel’s Ben Gurion International Airport in Tel Aviv. The companies say their goods face discriminatory inspections by the Israelis, where products, like ice cream, can spoil as their trucks are made to wait. Exporting to the Middle East is easier but by no means simple. Al-Arz’s ice cream for Middle East markets is exported by truck from the West Bank to the Jordanian border along the King Hussein Bridge. But the Israelis do not permit Palestinian trucks to enter Jordan, Ramzi said. A second Jordanian truck is needed to drive the goods into Jordan. “We move the ice cream from the back of one truck to the other,” Anabtawi said. This increases exports costs for Al-Arz, and other Palestinian companies, who end up paying for two trucks, two drivers. But Anabtawi is confident this won’t restrict the company. “I can see Al-Arz ice cream as an international brand. 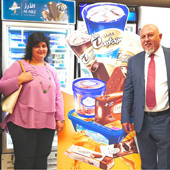 In the near future it will be available in the whole Mena region and it will be one of the main players in the ice cream market, globally,” Ramzi said.